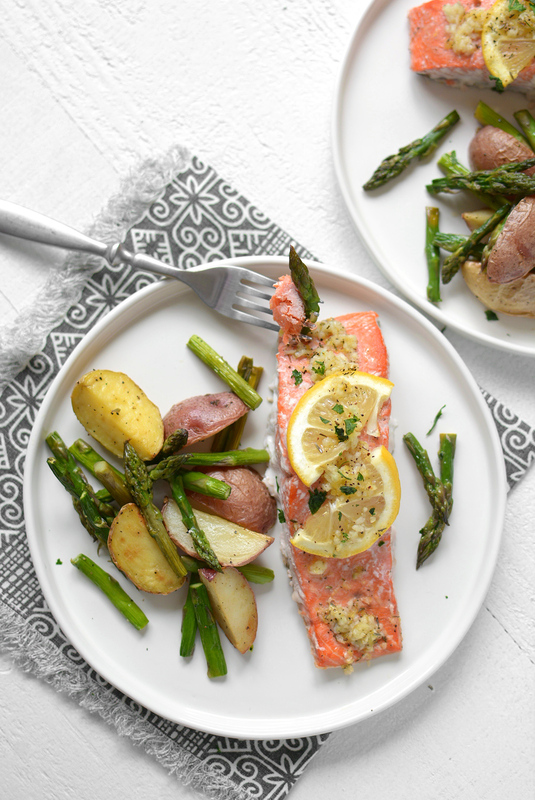 Sheet Pan Lemon Pepper Salmon and Vegetables – Using a bare minimum of dishes, this simple, zesty weeknight meal will help you actually ENJOY dinner with your family! Hey, it’s Rachel from Simple Seasonal! 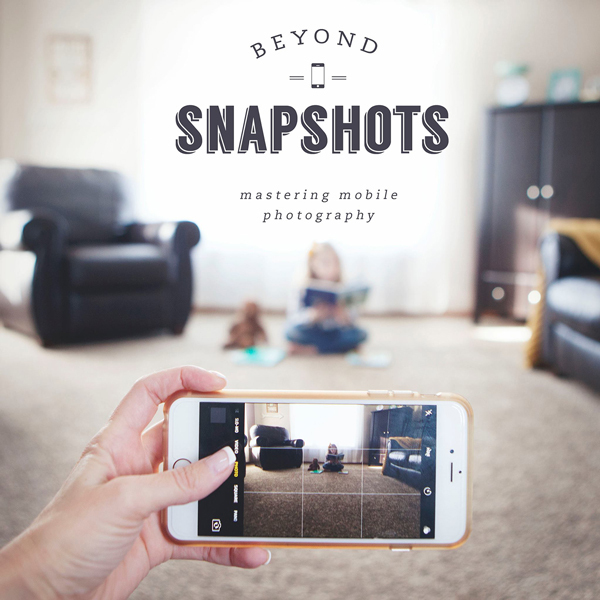 I’m back with another super easy recipe for the person who envisions their little family gathered around the kitchen table enjoying a home-cooked meal in between giggles and retellings of the day’s important events. Well, that is, without all the work a home-cooked meal entails. If you’re anything like me, one thing you don’t envision is spending half of the evening working over a hot stove, and then the other half of the evening scrubbing pots while elbow-deep in dish water. That’s why I have become OBSESSED with one-pot and and sheet pan meals. 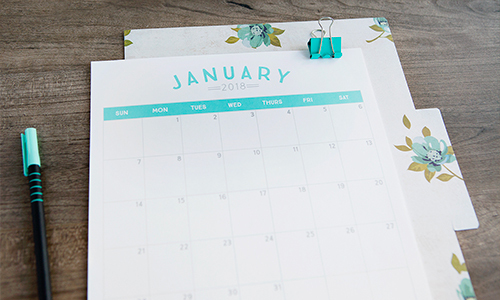 Recipes like my Rustic Italian One-Pot Chicken and Rice or my One-Pot Tex Mex Chicken and Rice, as well as my Freezer English Muffin Mini Pizzas. 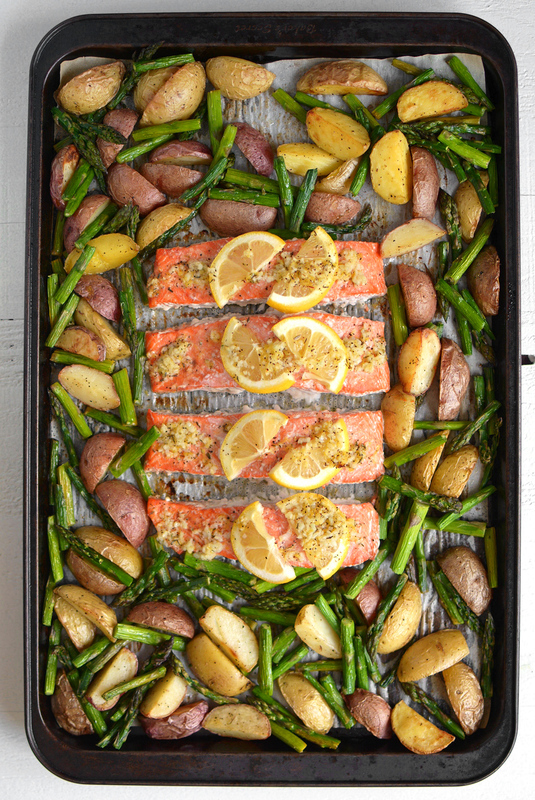 Today’s recipe for Sheet Pan Lemon Pepper Salmon and Vegetables is becoming one of my go-to weekday meals. 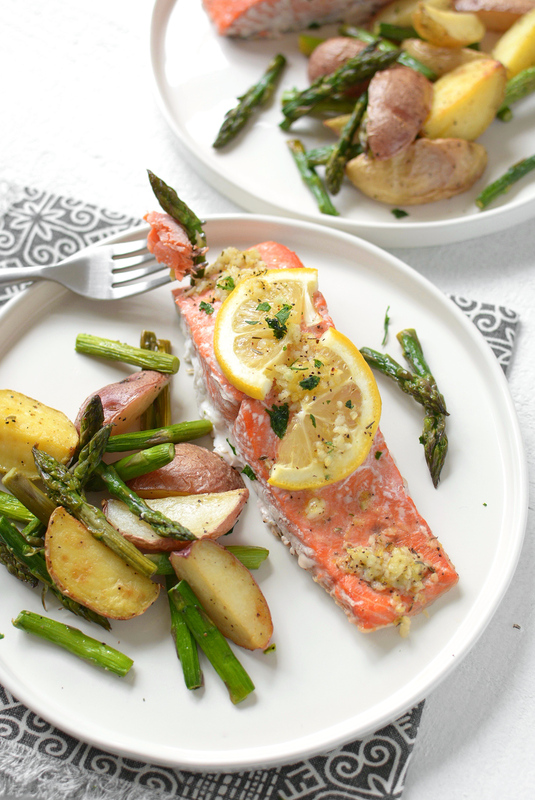 It has a spring flair with fresh asparagus and baby potatoes. Not to mention it’s healthy, the prep is minimal, and it makes hardly any dirty dishes. Did I forget to mention that the lemon pepper flavor tastes amazing? Here’s to enjoying a healthy, home-cooked meal with the people you love! Combine the potatoes, olive oil, salt, and black pepper in a ziplock bag and shake to coat the potatoes. Evenly arrange the potatoes on the pan in a single layer. Bake for 15 minutes. Save the bag to use again. While the potatoes are baking, combine the asparagus, olive oil, salt, and pepper in the ziplock bag and shake to combine and set aside. In a small dish whisk together the salmon marinade, which contains olive oil, lemon juice, lemon zest, garlic, thyme, salt, and black pepper, and set aside. Cut the salmon into individual filets and remove the bones if the grocery store has not already done so. Once the potatoes have baked for 15 minutes, remove them from the oven, flip the potatoes, and combine with the asparagus. Arrange the salmon evenly at the center of the pan. 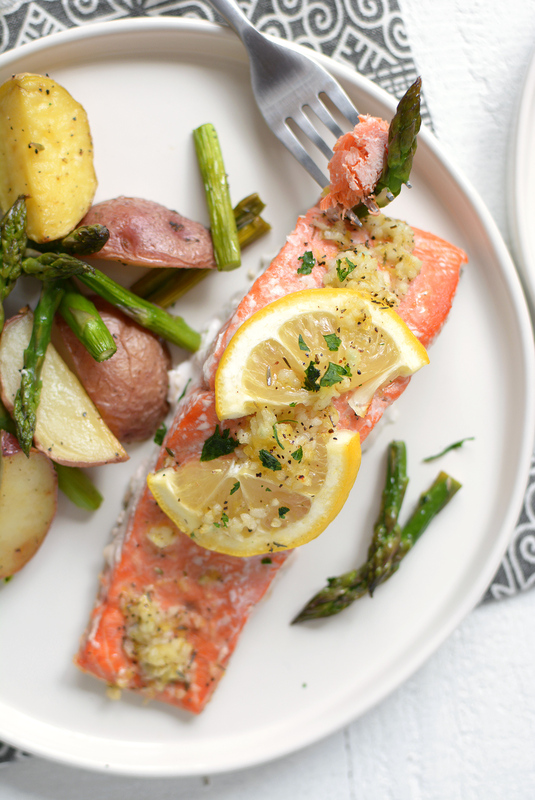 Arrange lemon slices over the salmon, and then pour the marinade evenly over all four filets. Return the pan to the oven and bake for an additional 12 to 15 minutes, or until the salmon reaches an internal temperature of 145ºF. Serve immediately. 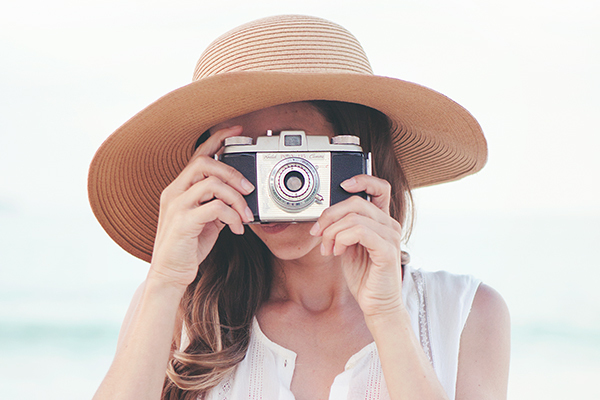 That looks absolutely incredible! I think I’ll be saving this recipe for a rainy day – ha! I love salmon! 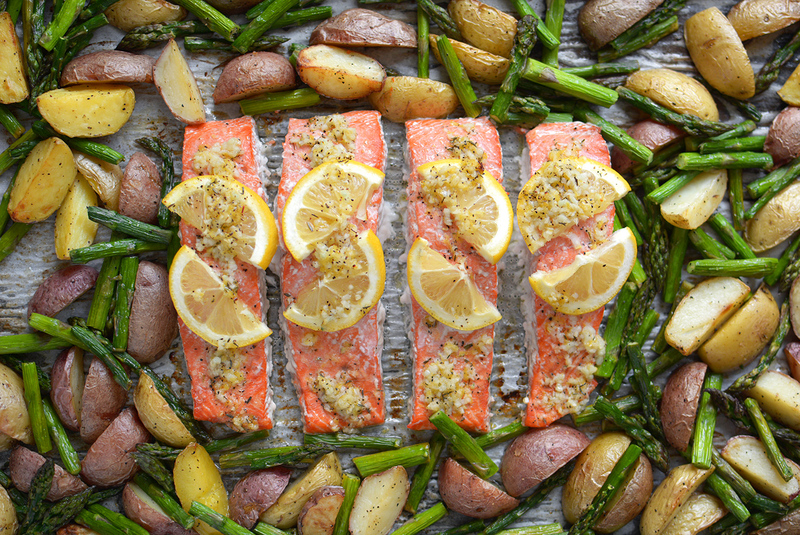 Oooh I love a good sheet pan meal – this salmon looks faaaabulous! Thanks Ashley! 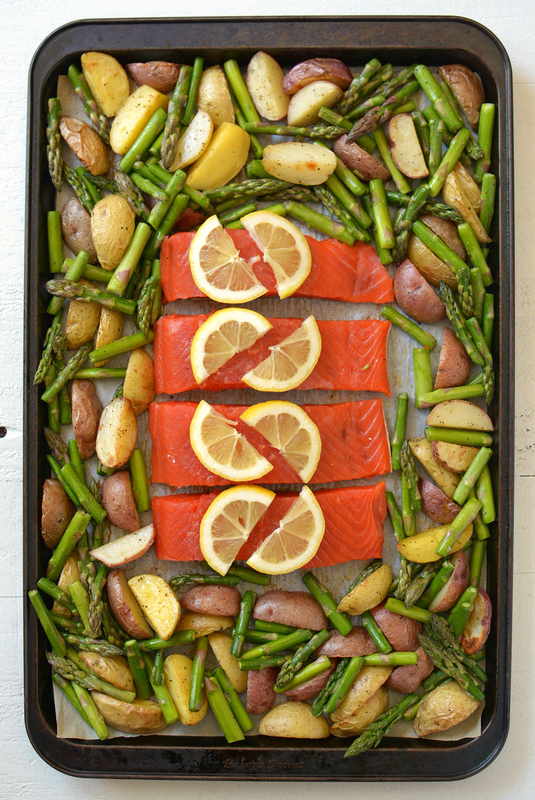 I’m obsessed with sheet pan recipes right now and the not many dishes part!